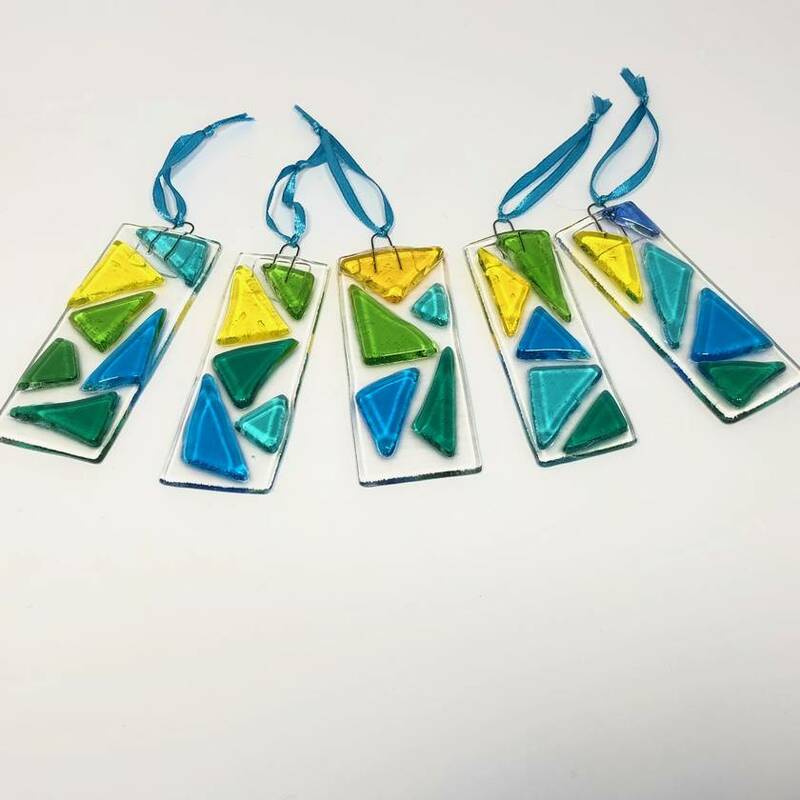 These suncatcher decorations are available in two different colour combinations: yellows, oranges and reds or turquoise, green and yellow. Each sun catcher is handmade so no two are alike. See separate listing for the yellow/orange/red suncatchers. These catchers measures approximately 80mm long and 25mm wide. A wire loop is fused into the top of each piece and coloured ribbon attached to make it easy to hang the sun catcher from a hook, tree, or Command 3M hook (ideal for windows). I have multiple sun catchers available. Although they are photographed in a group, the cost is $10 per item. Please let me know during the checkout process if there is a particular colour combination you would like and I'll send the actual item (if still available) or the closest match.